The Mercedes-Benz C-Class is an excellent choice when you’re considering breaking into the luxury auto segment. 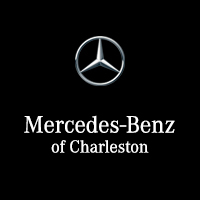 And when you rely on Mercedes-Benz of Charleston for your vehicle needs, you can also take advantage of our rotating Mercedes-Benz C-Class lease offers. Whether you’re looking for a C-Class sedan, coupe, or convertible, you’re sure to find something in our inventory for a price that works for your budget. Once you’ve read the C-Class reviews, it’s time to visit our dealership in Charleston, WV to experience this luxury sedan in person! Thanks to our Mercedes-Benz lease offers, you can drive home in the right vehicle for the right price.